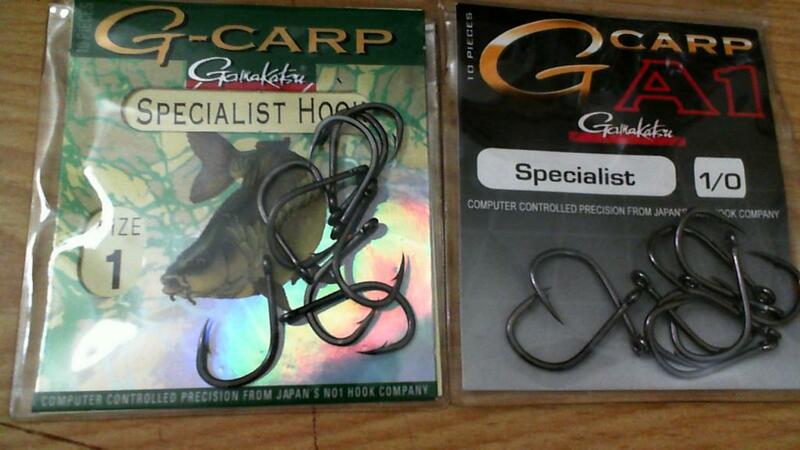 New Gamakatsu Carp Hooks ! This just happen? I love their octopus hooks for catfishing. I imagine these will be decent. There hooks are the best i used to use them when i first started carp fishing but they didnt have carp specific ones at the time. I never straightened one out. i will have to buy these thanks for the link. Thats great. Thanks for sharing. Dries, don't no when but i logged in this morning to order some smelly jelly & one of the hook appeared on the right side of the page ! i used to buy Gamakatsu hooks from royalcarp but not same price ! Another big change in the Carp World is the Okuma Avenger series has undergone a make over and will start to arrive as the old stock gets sold out......If you need to match some of of these you may want to act quik......the knew designs has alot more "Bling" to the colors and markings and don't look at all like the last model. How many in a pack? Their globug hooks are very similar to the second pattern, a real workhorse hook, and are widely available for $7-8 for 25. EDIT: first link says ten-pack, I assume that applies to both. Still reasonable, but I'd rather buy 25-50 at once. 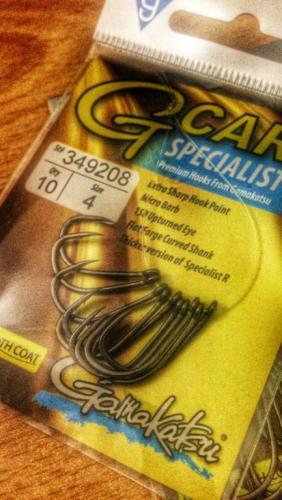 Because they're backorder, you must order 5 packs minimum- still can't complain though- price is great and I'm not looking to stop using hooks anytime soon! They dont come in a 1/0. Has anyone received their order yet? I had one e-mail saying the hooks would be shipped sometime after 2/7 but no sign of them yet. Got an email this morning appologizing for the hooks still not being in stock, and asking if I wished to cancel my order. I contacted Cabelas yesterday via "live chat" and the guy who looked up my orders said they were shipped on Tuesday. 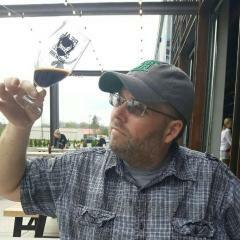 I generally find the two concepts of top quality and low cost to be in opposition to each other; I hope this works out! Hooks arrived today- look like a similar gauge to the Solar 101's and are as sharp as any I've used in the past. All in all, couldn't be happier. Now to tie up some rigs! Mine arrived on Saturday. They look pretty good. Hard to tell for sure without putting them to the test. Did you guys get both the Super and the Specialist? Besides the 15 degree bend, are the Supers that much stronger(carbon steel) feeling, looking? Was wondering if they both were 10 packs? Looks like you bought up all the Size 8's LOL! 10 hooks in a pack, It says on the pack "Thicker version of specialist R"
Did you get yours from Cabelas? They only list 2 types, the Super & the Specialist R.